Carolina of Always Expect Moore is here today! She and I have known each other for…..kind of a long time. 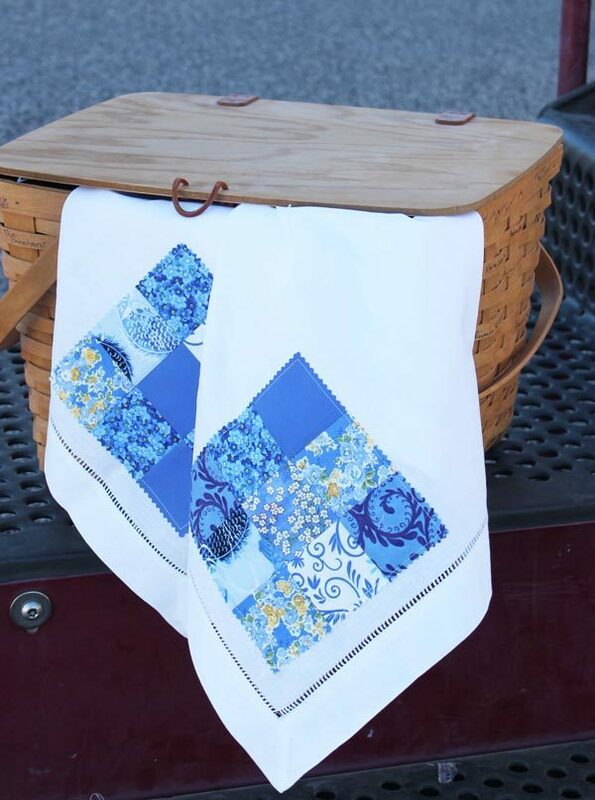 She is very outgoing, enthusiastic and talented when it comes to quilts, crafts and anything paper! She is always welcoming others to join in on the project that’s happening…. I love that about her! If you ever have a chance to take a class from her or chat it up- do it. You will leave a better person. 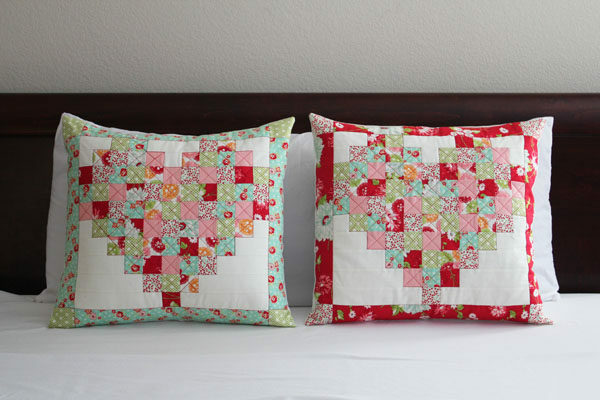 Her pattern this month is adorable….seriously. 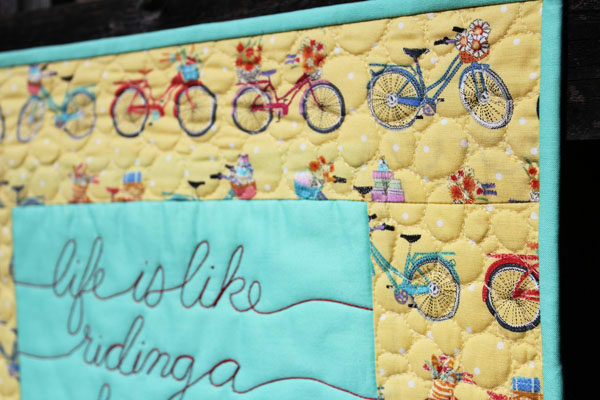 It’s perfect for those who want to dip your toe in free motion quilting– words. Don’t be afraid of it! Hi! I’m Carolina. I never met a craft I didn’t love! 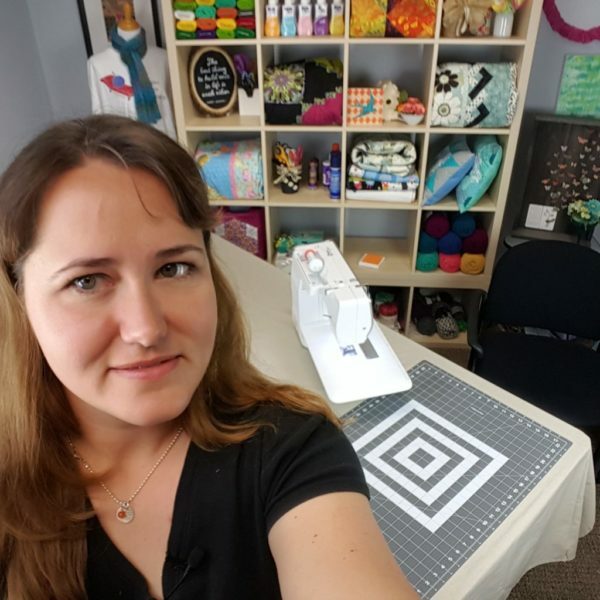 I enjoy doing all kinds of crafting, and teaching others how to create! On my site you’ll find lots of step-by-step craft and sewing tutorials, as well as recipes and my general musings. I do a lot of crafting as well as quilting. On the crafting side, quotes and hand lettering have become very popular. 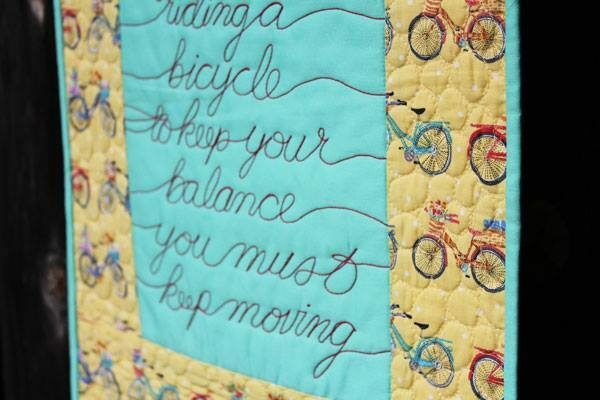 And one of my passions in quilting is free motion quilting. I combined these two to make a mini quilt with a hand lettered quote. I’m originally Dutch (yes, Dutch was my first language). In Holland, we ride a lot of bicycles. So the bikes in the fabric and in the quote are a nod to my Dutch heritage. 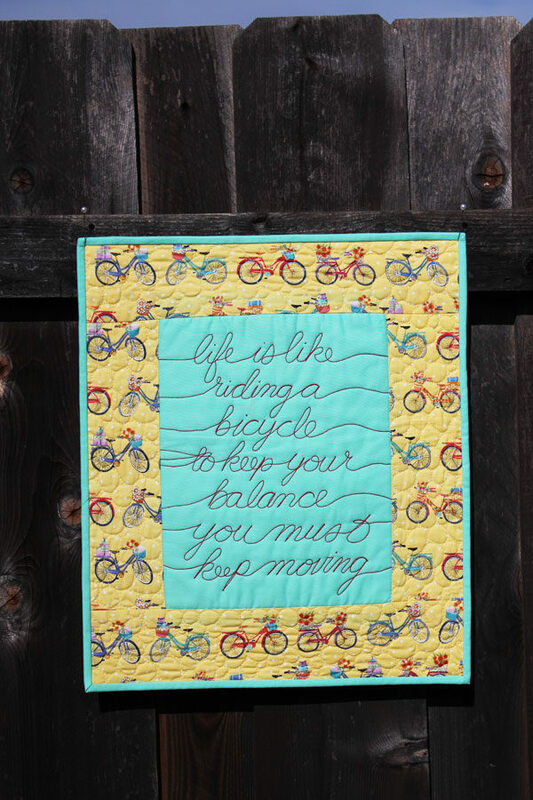 And, there are lots of great fabric lines out with bikes right now, so you can certainly find one that fits your aesthetic! I love taking handwork with me wherever I go. English Paper Piecing is so simple to toss in a bag and keep in my purse. 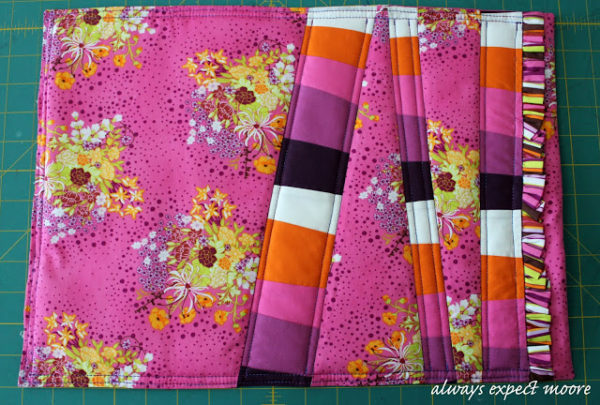 This basic tutorial shows you how to make any size EPP block! 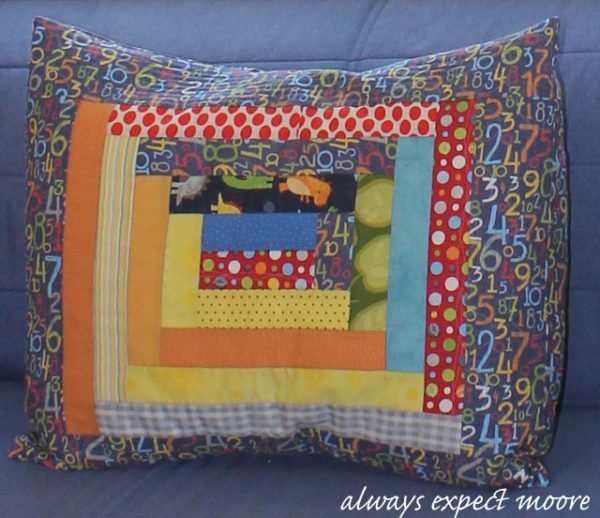 I have been sewing as long as I can remember. My mom is an excellent seamstress. She made lots of our clothes growing up – even our swimsuits! She and I made several of my formal dresses when I was in school. I grew up in the 80s, and my mom loved watching Eleanor Burns on PBS. We found out that El’s shop was hosting a kids’ quilting class over President’s Day weekend one year, so my mom signed me up. I was twelve. On the very first day, while cutting my strips for my log cabin quilt, I cut my finger. I needed two stitches, but was able to come back to class and finish up my quilt. 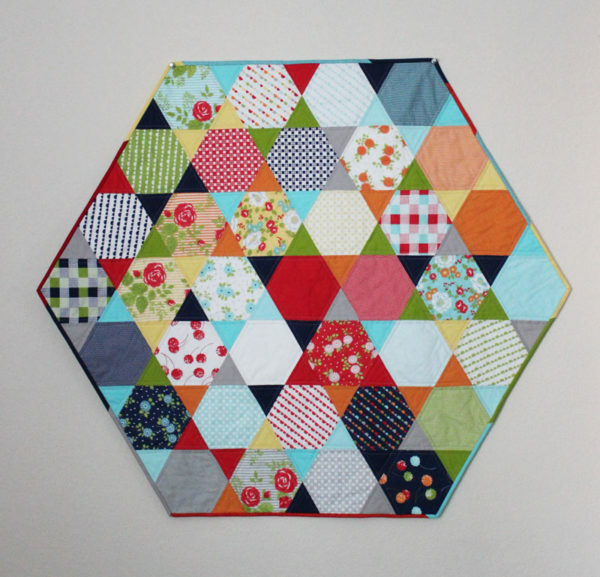 I fell in love with quilting that weekend – you might say it got into my blood! I’m a notions junkie! Probably one of my favorites is the Dritz Quick Fabric Tube Turners. If you ever have to turn a tube – like when making a bag handle or drawstring – these are essential. I’ve used the safety pin method and the bodkin method, and the tube turner is lightning fast by comparison! I’m wrapping up a lot of projects right now! 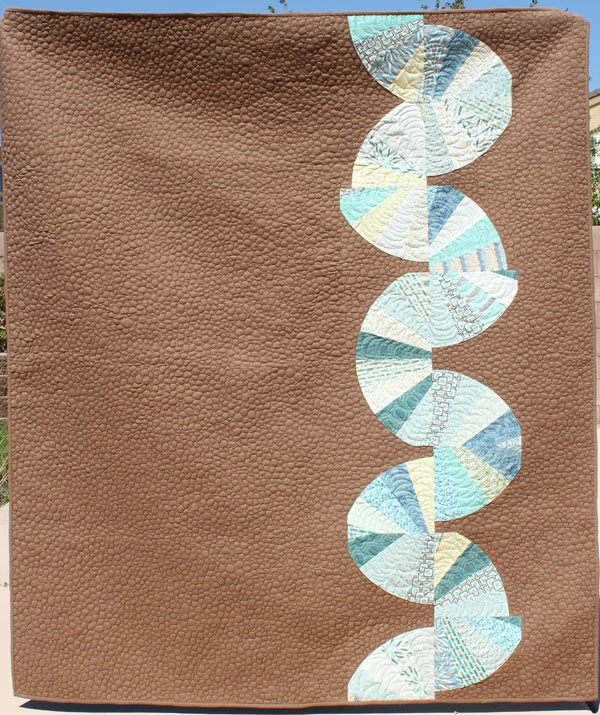 In January, I finished a 12-week video series teaching new quilters how to make a mini quilt using the Cricut Maker. You can find that on my YouTube Channel. 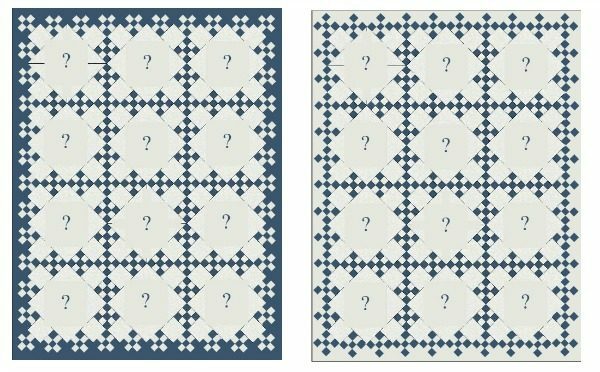 I’m currently submitting the manuscript for an English Paper Piecing book I’ve written for Nancy’s Notions that will come out later this year. And on the crafting side, I just finished co-writing a book called “Glue Gun Hacks and Crafts” that will be in stores this fall. With such a busy first half of the year, I’m looking forward to relaxing this summer with the kids by the pool – I think I’ve earned it! I have two high school diplomas. I finished an international program (IGCSE – International General Certificate for Secondary Education) when I lived overseas. I then enrolled in High School here in the US. I was more than halfway done with my senior year when I learned that the IGCSE counted as a high school diploma. But I wanted to finish up my AP classes and graduate with my class, so I finished my senior year.